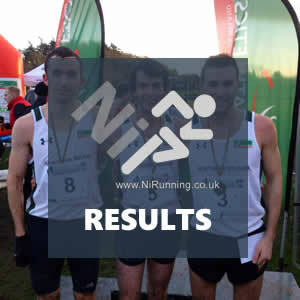 Local mountain runners perform well at prestigious Highland Fling and 3 Peaks races! Ian Bailey (Newcastle AC), Billy Reed (East Antrim Harriers) and Aisling Allum (Carnethy HRC) excelled as local mountain runners travelled to the famous Highland Fling Ultra and 3 Peaks Mountain races this weekend (Saturday 28th April 2018). In Yorkshire, Garmin Mourne Skyline MTR winner Ian Bailey claimed a top ten finish against top quality opposition at the 3 Peaks Mountain Race. The event starts in Horton, takes in the summits of Pen-Y-Ghent, Whernside and Ingleborough before returning to finish line in the countryside town (Horton). With in-excess of 23 miles and approximately 1600 metres of climbing and descent, this race proved an excellent build up for Ian, who will represent Ireland at the WMRA Long Distance Mountain Running Championships in the coming months. Ian covered the gruelling course in 3:05:35 (9th place), and on doing so picked up the award for the highest place first timer (at the event); a memorable achievement for the local man. The race was won by Tom Owens (Salomon International) in 2:49:08 (1st place). Meanwhile in the Highlands of Scotland, over 20 local runners took on the iconic Highland Fling 53 mile Ultra. The event set off from Milngavie Railway Station, just north of Glasgow at 6am. Runners made their way North via the stunning West Highland Way, past Loch Lomond to the finish line in Tyndrum. The first familiar face across the line was Northern Ireland born Dave Andrews (Metro Aberdeen) – Dave, who left NI 20 years ago to set up home in Scotland, covered the route in 8:24:50 (15th place). East Antrim Harriers man Billy Reed had an excellent run, leading the travelling contingent of NI based athletes home in 8:55:44, which saw Billy take 25th place and claim the Vet50 title. The fast improving Aisling Allum (Carnethy HRC) also excelled, finishing well inside the top ten of a classy ladies field in a time of 9:41:16 (7th place). 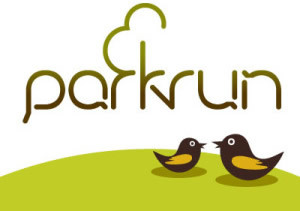 BARF pair Martin Mullan and Joanne Curran both Tyndrum well inside the much sought after sub-10 hour finish time, with Martin running well for a 9:43:14 (77th place) finish – Joanne marked her return to competition with a 9:52:42 finish for 10th place in the ladies race. 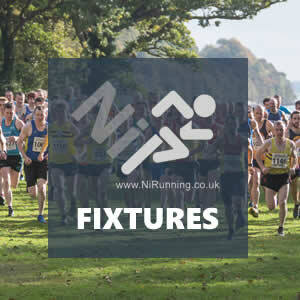 NiRunning Mile 2018: Start Lists now AVAILABLE!